These guys just became one of my new favorite bands. 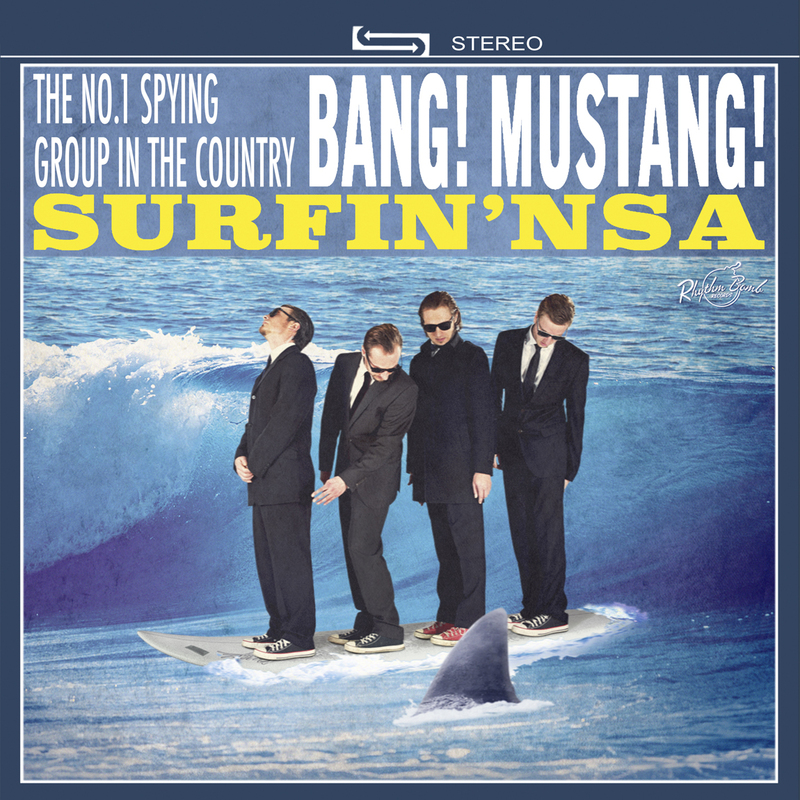 Surfin' NSA is the second (and most recent) album from German surf rock supergroup Bang! Mustang! The band consists of guitarist John Oceanic, bass player El Pato, and Luke Wave Walker on drums. They've described themselves as "Motherf***in' Powersurf from Outer Space," and they live up to every word of that description. 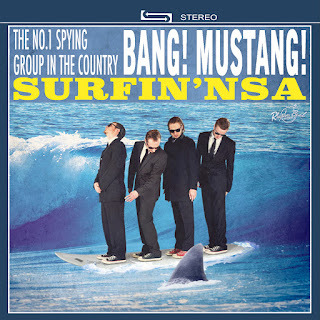 It's like the most dangerous-sounding surf rock you've ever heard, mixed with a liberal dose of spaghetti western cool. Needless to say, this one flies right up my alley. Head over to their site on BandCamp and listen to the music for free. I absolutely love every single song on the album, but the two biggest stand-out tracks on the album to me are "Charles Bronson," which seems to be their tribute to Once Upon a Time in the West, and "Bughouse Surfer,"which changes around mid-point from surf rock to something worthy of playing in Disney's Haunted Mansion ride, or in an episode of The Munsters. If you like what you hear, buy something to support the boys. Very few people are doing what they're doing, and even fewer are doing it this well.